A media mystery popped up a week before Christmas: Leslie Moonves, who had just been fired as the chief executive of CBS after multiple accusations of sexual misconduct, appeared to give an exclusive, on-the-record interview to a little-known publication in which he bluntly addressed his dismissal. It was an unlikely-seeming exclusive. Mr. Moonves had shunned all interview requests since the publication of an article in The New Yorker last summer that included detailed, on-the-record accounts from women saying that he had sexually assaulted them. For much of 2018, reporters at major outlets, including The New York Times, had aggressively sought Mr. Moonves, with little success. The idea that Agenda, a niche outlet with 6,000 subscribers focused on corporate governance issues, had scored his first on-record comments since his firing struck many observers as implausible. It turns out the interview, published on Dec. 18, may have been bogus. Before the retraction, a number of publications, including The Times, had reprinted the executive’s supposed comments. The statements attributed to Mr. Moonves in the Agenda story were potentially significant, since he can appeal the board’s decision on the $120 million within 30 days of Dec. 17, the date the CBS Corporation board formally decided to characterize his ouster from the company as a firing with cause. 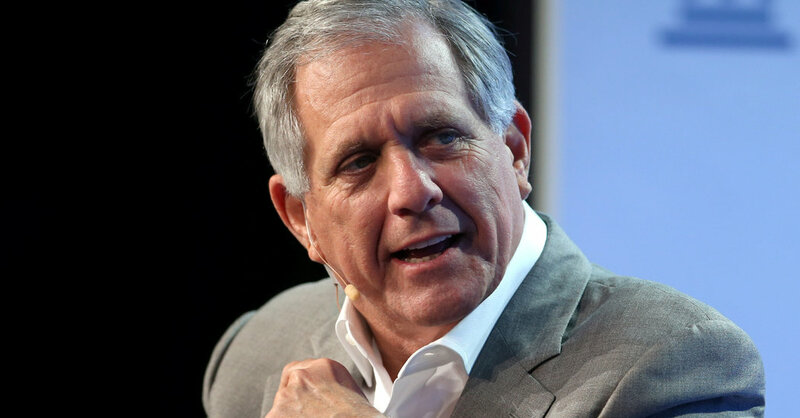 The Agenda article suggested, through Mr. Moonves’s now-retracted comments, that he was contemplating action against CBS. The interview lasted a few minutes. In a follow-up, the reporters called the same number — which has a Maryland area code — to ask a few more questions, according to two people who spoke on condition of anonymity, because they were not authorized to discuss what happened publicly. They also shared relevant emails with The Times. A few days after the article appeared, Chris Giglio, a spokesman for Mr. Moonves, said the former executive had not spoken with Agenda. Mr. Moonves himself called Lionel Barber, the editor of The Financial Times, to complain, according to the two people. Mr. Barber, who used to be the managing editor of the newspaper’s United States operation, had become friendly with Mr. Moonves over the years. Mr. Barber told Mr. Moonves that he was unaware of the article and would look into it, one of the people said. But Agenda is editorially independent of The Financial Times, and the decision on how to handle the complaint fell to the Agenda newsroom. Agenda added an editor’s note to the article reflecting the statement, but did not make any substantial changes to the piece. After inquiries from media reporters, the publication removed the comments attributed to Mr. Moonves. The editor of Agenda, Andy Willmott, and the reporters offered no statement beyond the editor’s note. Mr. Moonves has yet to give an extensive on-the-record interview on the accusations made against him. The person who answered the call from the Agenda reporters remains a mystery. When a reporter for The Times tried the same number, a man answered by saying, “Guten Tag” — German for “good day.” Asked if he was Les Moonves, he ended the call. The Financial Times owns several titles, part of what it calls its “Specialist” group. Agenda charges about $9,600 a year for a subscription, with corporate accounts making up a big portion of its circulation. The CBS board has a subscription, but it’s unclear if the directors read it on a regular basis.